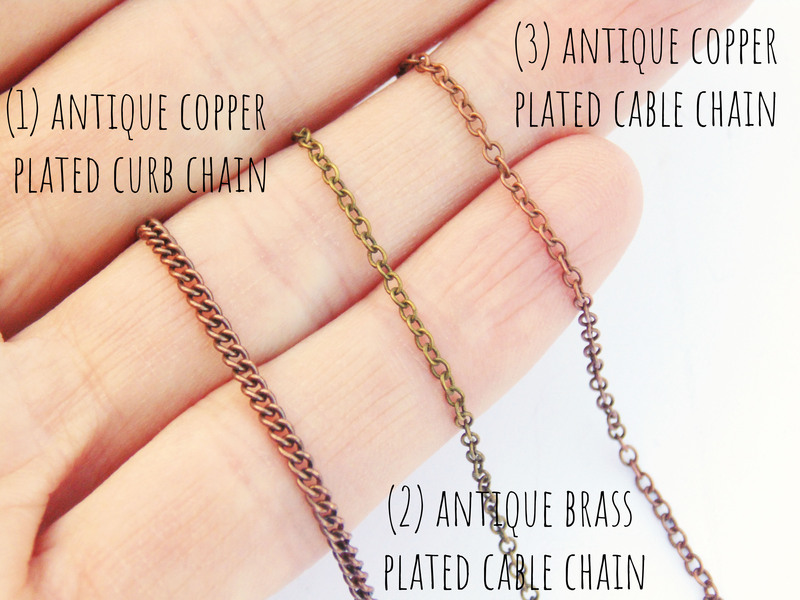 Metal Feature: Solid copper wire with an oxidised finish, polished to reveal the warm coppery highlights and sealed with a gloss varnish that is safe to wear against the skin. Beads: Agate, moonstone, clear quartz and Czech glass. 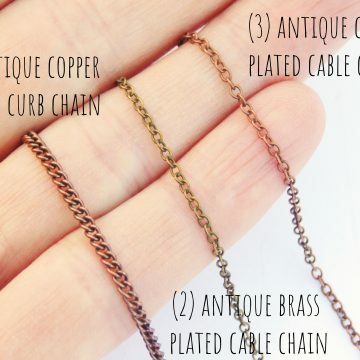 Necklace Length Approx: 50.8cm / 20 inches, matinee style. Dimensions Approx: Height 6.5cm x Width 8cm / 2.5 x 3.1 inches. N.B. : Please note I am a delicate design, the copper has been work-hardened, however if you sit on me or handle me roughly I will get squashed. 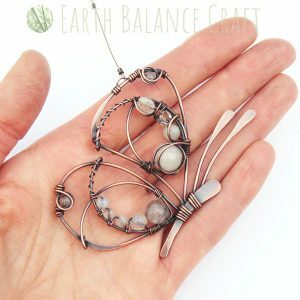 Learn how to make a white butterfly hanging decoration from silvery metal wire and semi-precious gemstone beads. All the materials you need to make this design are in the box. 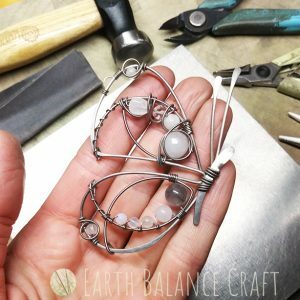 Learn basic wire work techniques to begin your wire-work journey.